Awareness of the need to be mindful of our impact on the natural systems that support us has been around for a long time, but the environmental impacts of the types of lighting we use were for many years absent from these conversations. Not so today. Affordable, energy efficient, LED lighting is now touted by the green movement as one of the major solutions to our current set of intertwined, environmental and energy crises. And indeed, LED lighting is rapidly phasing out older lighting technologies like the incandescent bulb and fluorescent lights. Today, light emitting diodes represent around 20 percent of the global lighting market – a figure which is growing all the time – and are used in an increasing number of applications, domestic, commercial and industrial alike. 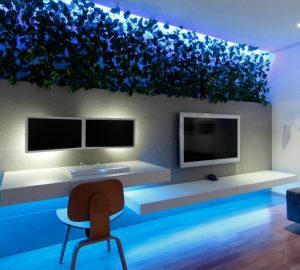 Although you have probably known something about LED lighting, here a few fun facts about this eco-friendly and innovative technology that you probably weren’t aware of. Read on to find out more. 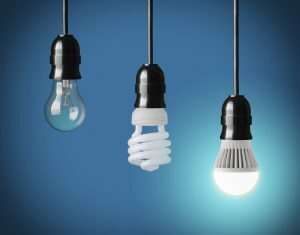 Light bulbs – such as the standard incandescent bulb we are all familiar with dating back to our childhoods – shine as a result of the process called incandescence, ie, heating something to the point where it emits light. LEDs, on the other hand, shine by electroluminescence – which is light (or luminescence) generated by electricity. A light emitting diode contains as it’s the main component a semiconductor material or ‘diode’ to which an electrical voltage is applied, knocking loose electrons from the surface of the material, which in the process emit quanta of light energy known as photons. This is how LEDs work! The year that the very first LED was invented by one Professor Nick Holonvak. At the time he was employed by General Electric. Unlike light bulbs such as the trusty incandescent, light emitting diodes are powered by direct current electricity (DC), not by alternating current (AC). They are DC but not AC. That’s the (minimum) lifetime of any decent quality LED light. Let’s work that out – if you use your LEDs for 6 hours per day, every day (already a generous estimate! ), that works out to a lifespan of over 8,000 days, and in excess of 22 years! Pretty impressive stuff. You will see your children grow up using the same set of lights throughout! That is the amount of greenhouse gas emissions that would result if every single American replaced one standard light bulb at home with a LED Energy Star bulb. Again, if every American switched over one of their bulbs to an LED light, then that would be equivalent to getting rid of all the greenhouse gas emissions from that number of personal automobiles. Replacement of one bulb per person would save the national $566 million in annual energy costs – enough to keep 2.6 million homes illuminated for a whole year! Yes, as you might be gathering, LED lights are very, very efficient. If one person were to replace just one conventional 60-watt incandescent light bulb with an LED, then they would, over the course of the light’s lifetime, save sufficient energy to watch an additional 200, one hour-long, television programs. Switch over every bulb in your home to an energy efficient LED, and you could save yourself up to $6000 over the course of the bulb’s lifetime. Enough for a nice overseas holiday! As we’ve seen, LEDs have a lifespan of up to 25 years – which happens to be 25 times more than conventional lighting sources. If you were to install an LED bulb in your newborn baby’s room today, then in all likelihood it would still be going strong by the time you send her off to college. The energy savings you accumulate would enable you to pay a fair chunk of the tuition as well! That extra five bucks you’ve got lying around? Pass up the temptation to purchase those jazzy looking pillows or cushions, and instead buy yourself a good quality LED light bulb for that price or less. You will be on the way to generating far greater spare change for yourself through the energy savings you achieve over the course of the bulb’s lifetime. Compared to traditional sources of lighting, LEDs generate a lot less radiation, and because of this they don’t attract nearly as many pests as older lighting technologies. If you like to enjoy your balcony or patio during the warmer months, but don’t want to be eaten alive by mosquitoes and other insects, then install some LED lights out there. Problem solved! Because they come in such a wide range of different colors and wavelengths, LEDs are perfect for horticultural activities. Hyper red and deep blue colored LEDs (both of which can be obtained) will supply the light for photosynthesis; meanwhile, a far red LED light will direct the development of your plants all the way from germination to flowering. How does a LED driver work?